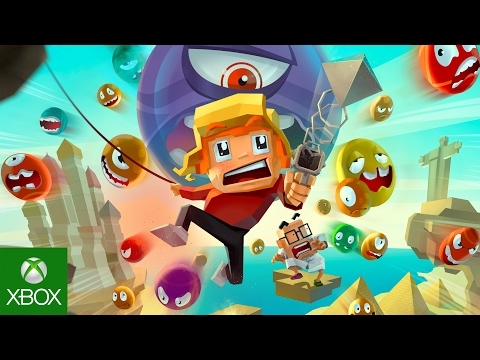 Spheroids available now for Xbox One and Windows 10. In Spheroids you take control of Lucas, a jumpy Canadian boy who sets out on an adventure with his crazy scientist companion Otto after it’s discovered that the government has been hiding alternative universes from the cubic world they live in. Unfortunately, these alternative universes contain spheres that wish to turn everything round, so it’s up to Lucas to save the world from these dangerous aliens: the Spheroids.